Samite performing with David Cullen at Windham Hill Winter Solstice Performing Arts Center, Carrboro, NC. A number of Ugandans have left their imprint on the character, culture, politics and history of our country. From politicians, traditional monarchs, health care workers and teachers to artists, thinkers and a host of regular people. But which Ugandan do you think made the greatest and most essential contribution to our national history or the countrys international image so far? Dr Specioza Wandira Kazibwe - Medical Doctor and Politician. She was the elected Vice President of Uganda, serving from 1994 until 2003, being the first woman in Africa to hold that position. In from 1991 to 1994, she was the Minister for Gender and Community Development. 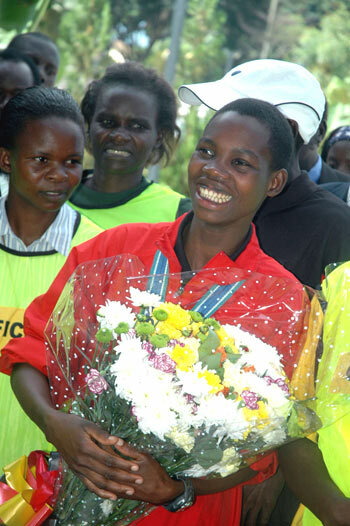 Dorcus Inzikuru -Also known as Inzzi, and the Golden Girl of Uganda, she brought pride to Uganda by winning the first gold medal since John Aki Bua did. She also recently won gold in the Commonwealth Games. Namugenyi Kiwanuka � Ugandan-Canadian television personality. Formerly a VJ and videographer for MuchMusic, she was the hostess of NBA XL and CFL and is currently working at BET (Black Entertainment Television. Okot P'Bitek - (1931-1982) Ugandan poet, novelist, and social anthropologist. Most famous Ugandan poet with works such as his first early Acholi-language novel Lak Tar Miyo Kinyero Wi Lobo (1953; White Teeth, 1989,)Song of Lawino, Song of Ocol and Song of a Malaya. Samite (Mulondo) � One of Uganda's most internationally known musicians. 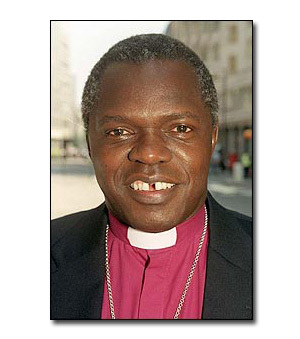 Archbishop John Sentamu - He made it in the books of Black history and world history when he became Britain's first black Archbishop when he took up his post in York. York's 97th Archbishop was born in Uganda. John Akii Bua - (1949 �1997) Winner of the gold medal in the 400m hurdles at the 1972 Munich Olympics; set a world record in winning the event with a time of 47.82 seconds. He was the first Ugandan to win Olympic gold in track and field. 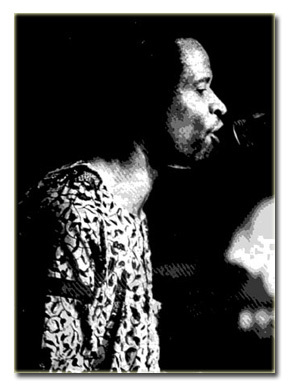 Philly Bongoley Lutaya � (1951-1989) Ugandan pop star turned HIV/AIDS activist. He was the first few Ugandans and first celebrities on the international scene to openly declare that he was HIV Positive and use his music to crusade against the dreadful AIDS pandemic. 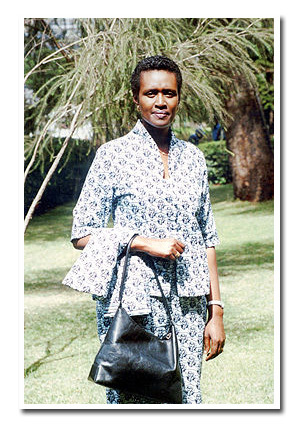 Winnie Byanyima - The first and only female flight engineer in Uganda as well as former guerrilla fighter member of parliament and politician. Selected as Woman Of The Year 2005 by the AfroAmerican Network in its Most Influential Blacks of the 21st Century. Doreen Baingana - Ugandan poet and novelist nominated for the Caine Prize for African Writing, winner of the 2003 Associated Writing Programs Award for Short Fiction, and her short story collection, "Tropical Fish: Stories Out of Entebbe won Commonwealth First Book Prize ( Africa Region) in 2006. Archbishop Janani Luwum (1922�1977) Archbishop of the Church of Uganda (1974 � 1977), and one of the most influential leaders of the modern church in Africa. He was murdered on the 17th of February 1977 either by Idi Amin personally or by Amin's henchmen. 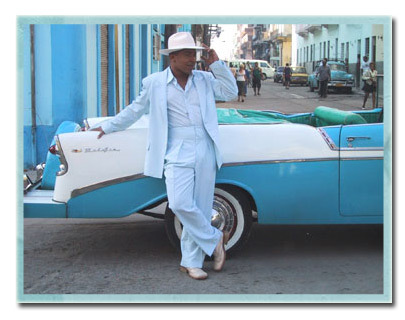 Lou Bega- Grammy-nominated Ugandan musician born in Germany to a Ugandan father and Italian mother. World famous singer of Mambo No.5. 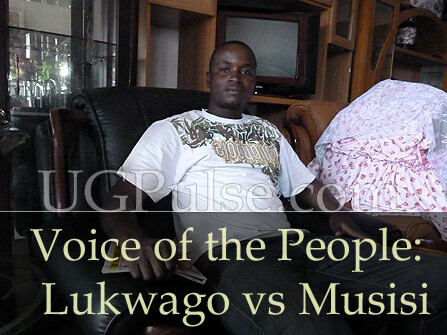 Once again, the staff of UGPulse must have left out some big names. 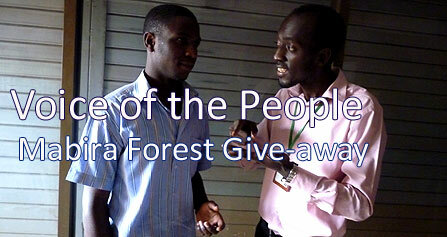 Go in the forums let us know who we left out and what you think of these chosen few.